PR - The annual national football league for Upolu clubs kicked off on Friday night at the F.F.S. fields at Tuana’imato. Twenty clubs have registered to compete in this year’s tournament. The league is divided into 4 divisions. Twelve teams have been confirmed to play in the men’s premier, 6 for the women’s premier, while 16 teams will play for the men’s first division and 6 for the women’s division. 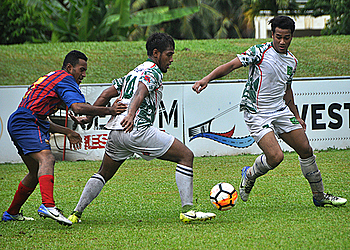 The winner of the Premier Men’s division will represent Samoa in the Oceania Football Confederation champion’s league 2019. National league tournament is one of F.F.S. main tournament aims to nurture more local players to be part of Samoa’s National teams.